Bristol Farms in Woodland Hills Has a New Gelato Sandwich and We're In Love! Croissants & Ice Cream? Yesss! House-Made Gelato for the Win! 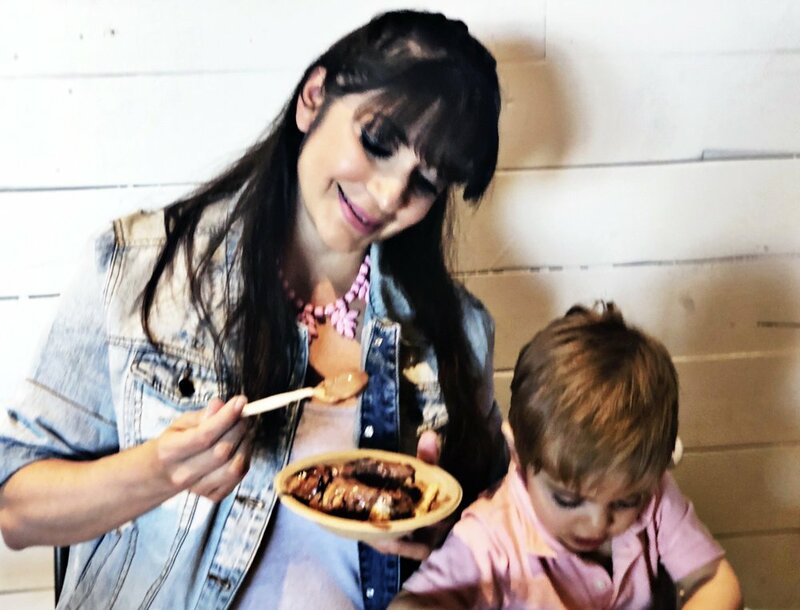 Our family loves cold dessert– shaved ice, fruit bars, ice cream, gelato, you name it! However, we hadn't come across too many quality gelato establishments in the San Fernando Valley... until we discovered Bristol Farms' Gelato Bar a few months ago. 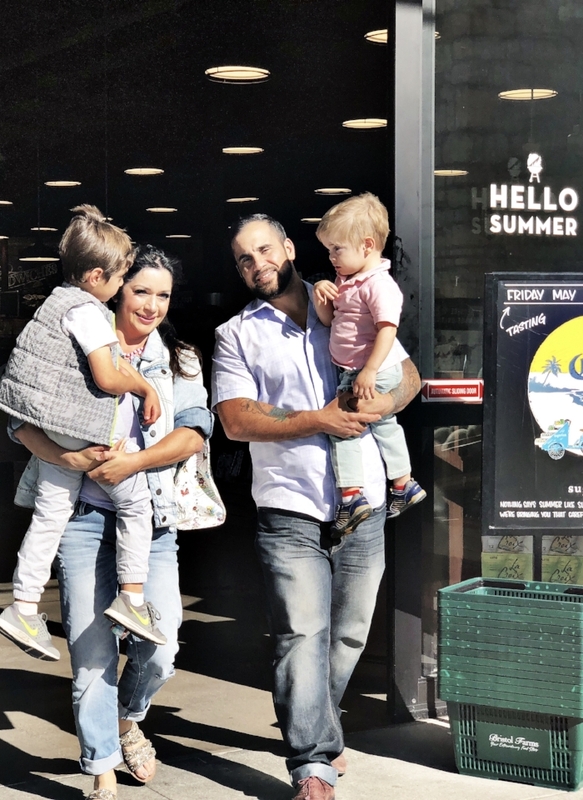 The local grocery chain operates several stores throughout Los Angeles County, but only the store located in Woodland Hills, which opened last November as a beautiful 25,000 sq ft food hall concept store, offers a gelato bar. The Bristol Farms in Woodland Hills is the only location with a gelato bar so of course I knew I had to eventually give myself an opportunity to indulge in their frozen deliciousness. Well the day came last week. After a busy work day and long commute home, I rallied up the boys and suggested we visit Bristol Farms after Friday night dinner. I explained to my husband that we wouldn't be grocery shopping, as anyone with small children knows how hard it is to keep focused on the shopping list when the kids are constantly trying to jump out of the cart or grab and eat grapes from the fruit section, among other bratty distractions! With the disclaimer, he quickly agreed. Off we went to a family gelato outing! We tried their mango, chocolate and vanilla flavors stuffed in a croissant and drizzled with chocolate and caramel sauces. OMG... so good! Even Toby was overjoyed with the yummy-ness! And Benny kept looking at me like: "Don't mess with my gelato stuffed croissant sandwich, Mama!" For starters, gelato is Italian style ice cream which is generally denser than American ice cream because less air is whipped into the mixture and it's churned at a slower speed, which in turn makes it contain less air and taste creamier....yum! At Bristol Farms in Woodland Hills, the gelato bar offers artisanal flavors made with fresh ingredients. The gelato croissant sandwiches are conveniently priced and if you make it a family outing, there's a fun dining area next to the bakery where kids can engage in activities like coloring and wooden toy games. My husband and I never looked and felt so happy leaving the grocery store with our two rascally boys! I suggest all parents leave their grocery shopping responsibilities aside and either pause for a gelato break at Bristol Farms or consider visiting the store for nothing other than to enjoy dessert and happy smiles from their kids! We certainly hit the lotto with their gelato!